The story in a second: Two-tone is back, baby! 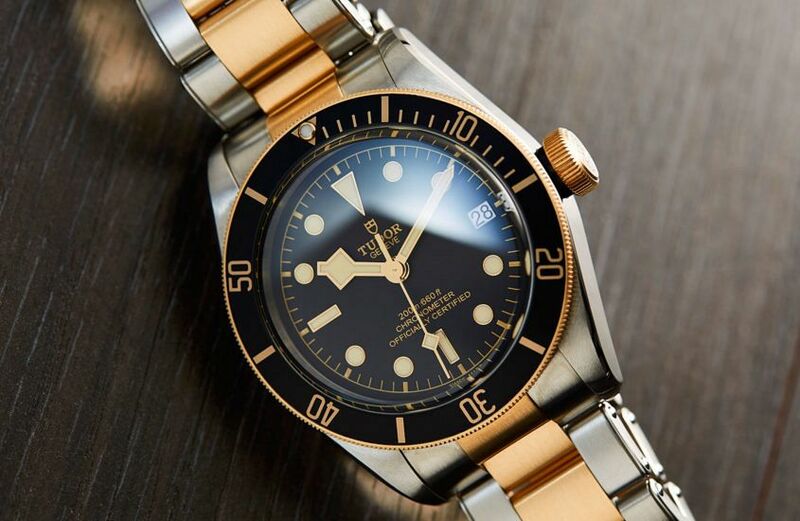 Steel and gold watches have been around for years. Hitting peak popularity around 30 years ago, they were the epitome of ’80s style, but, then again, so were pastel polos with double popped collars. However, while the mix of these two metals has been used by countless manufacturers, I’ve just never been a two-tone guy. It’s not that I have anything against the combination (double popped collars are a different story), it’s just that they were never for me. This year, something happened that I think no one saw coming. 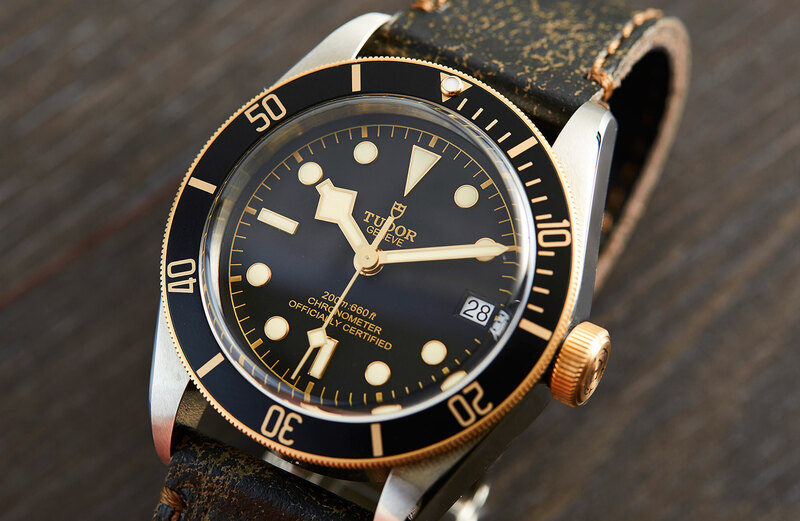 Tudor released a two-toned Black Bay, and, I have to say, I think they’ve changed my mind. Apart from the obvious, not much has changed with the 41mm case of the new Black Bay. 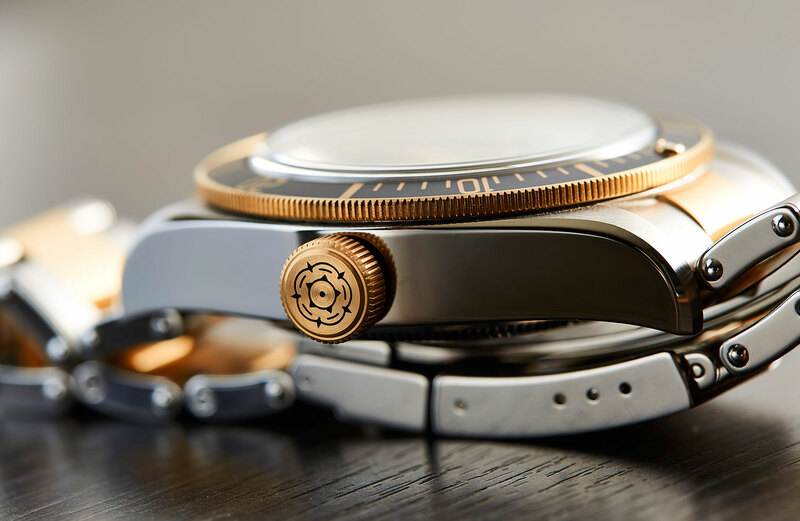 It still holds that same classic tool watch shape, with high, polished sides, chamfered lugs, and oversized crown. On top, the satin-brushed finish is still there, as is the black 60-minute bezel, which surrounds that wonderfully domed sapphire crystal. It’s even still water resistant to 200 metres. What has been changed, though, makes all the difference. The bezel is now a solid piece of yellow gold, and while that may sound a tad ostentatious, it’s really not. The gold is low-key and contrasts nicely with the black anodised aluminium insert, particularly when combined with its gilt markings. Where the yellow gold is most obvious however is on the crown. But this time it isn’t a solid piece; instead the gold is capped around a stainless-steel inside. Still, there’s nothing showy about it and when combined with the black, and steel, it only accentuates the vintage feel of the Black Bay. It’s safe to say that the biggest point of difference of this new Black Bay is the case. However, it’s the dial where you’ll find the most controversial change. 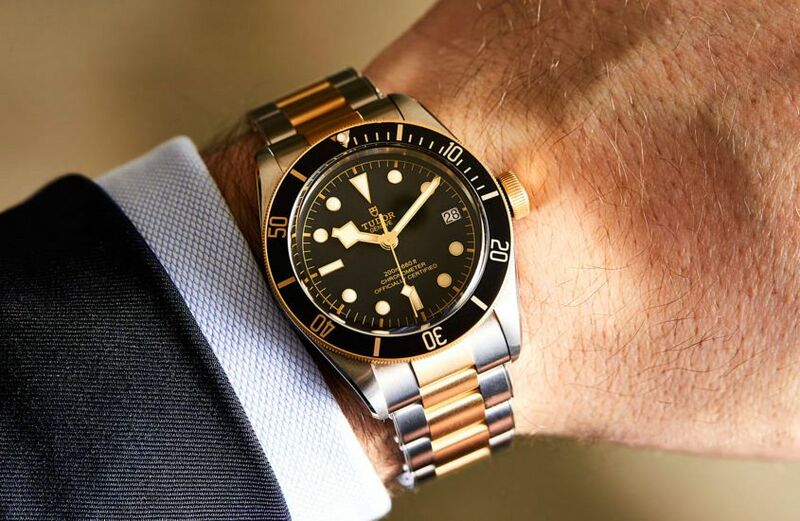 The Black Bay now has a date (gasp). You’ll either love it, hate it, or be indifferent to it. Personally, I like the added functionality of a date window, and on the S&G it’s very nicely done. Without intruding into the clean symmetry of the dial, it replaces the hour marker at 3 o’clock. Sure, some may say it’s not perfect, but as far as date windows go, it hits all the right notes. Looking past the addition of a date, with gilt surround hour markers and snowflake hands — which are set on a matt black dial with matching gold writing — it’s the same dial you’d find on the Black Bay Red, and Black. Only now, the warmth of the golden accents is amplified by the gold of the case. Bringing the added complication of a date window is the same movement you’ll find in the Black Bay Steel and the Pelagos, Tudor’s own caliber MT5612. With a silicon balance spring, it’s COSC certified, and has a 70-hour power reserve. Which means you can take it off Friday evening and not have to re-set and wind it come Monday morning. Handy. Although available with an aged black leather strap, it’s on the rivet-style bracelet where the S&G really shines. Just like the case, it’s been given the two-tone treatment. The end links are solid steel and gold, while the rest of the centre links are gold-capped. They’re not polished either; instead they’re satin-brushed, and given a level of discretion not normally associated with gold, while emphasising their texture. Overall, it’s a well-built and comfortable bracelet, and once again the gold only enriches the vintage vibe. Putting the S&G on my wrist, it feels like every other Black Bay I’ve ever worn. But that’s a good thing — you can sense the commitment to build quality, the crispness of the case, the sturdiness of the bracelet. You can see the vintage elements, which, while noticeably more modern, are still faithful and playful. However, while the Black Bay has always been able to bridge the gap between tool and dress, the S&G goes that one step further. It feels warmer, more formal, more luxurious, and that little bit more timeless. Sure, it’s not a revolutionary design or even a brand new one. 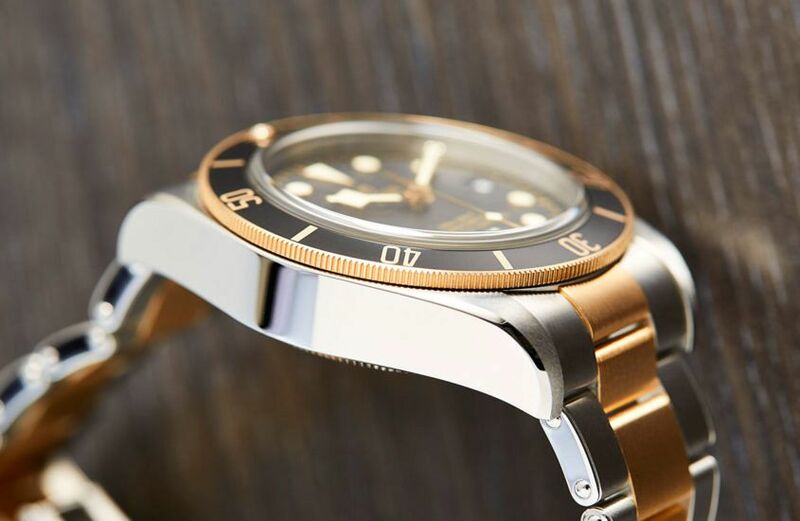 But Tudor have once again released another solid and well-priced watch. 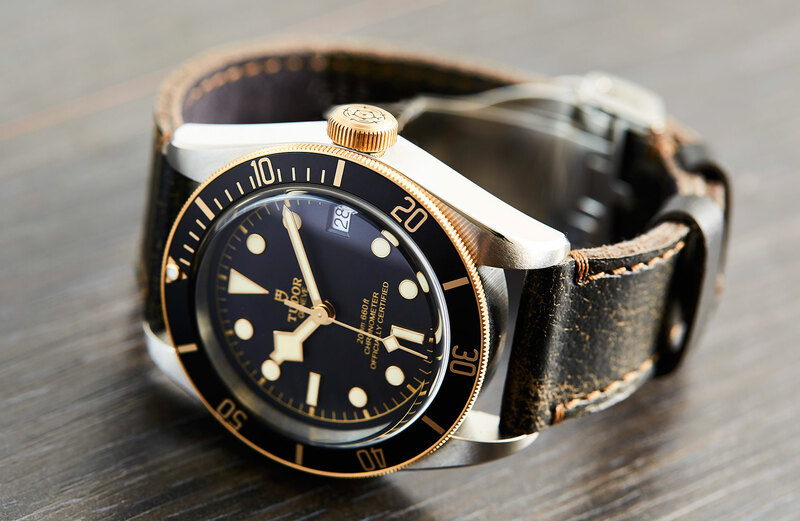 The Black Bay was already considered a near-perfect entry-level luxury watch. Now they’ve just stepped it up a notch, and I’ll admit that when I first saw the Black Bay S&G, I was surprised and a little unsure. But now I can say I’m a two-tone guy. 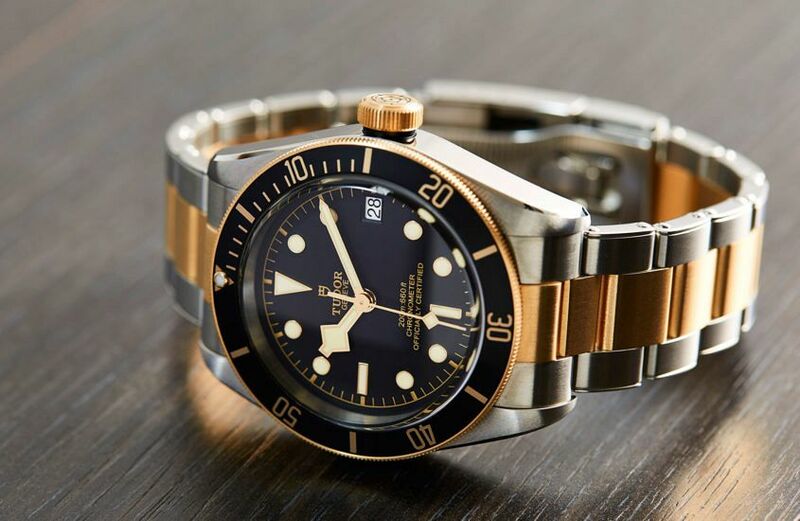 What’s next for the Tudor Black Bay? You don’t have to bend it like David Beckham. But if you appreciate the vintage appeal of the Black Bay, but want something that little bit dressier, then this is the one for you. There isn’t too much I would change. I would’ve liked to have seen solid gold used for the crown and bracelet centre links, but then again that would completely change the value proposition.